The new Scotch Lamb PGI initiative by Quality Meat Scotland (QMS) has recognised the innovation and skills of 26 butchers from across Scotland. QMS has rewarded new Scotch Lamb products, including a Moroccan lamb burger, chilli halloumi kebabs, stuffed lamb noisettes and a hot and spicy lamb burger, with gold and silver awards, as part of the Wham Bam Thank You Lamb campaign, which was launched last year. The campaign aims to showcase quality, as well as innovative Scotch Lamb products and burgers that have been created by Scotch Butchers Club members to meet changing consumer demand. All the burgers and products were subject to a rigorous two-stage judging process, by a panel consisting of members of the Scottish red meat industry and the public. They were reviewed on taste and how simple they were to cook quickly by busy young professionals with children – a key target market for QMS’s Scotch Lamb marketing activities. 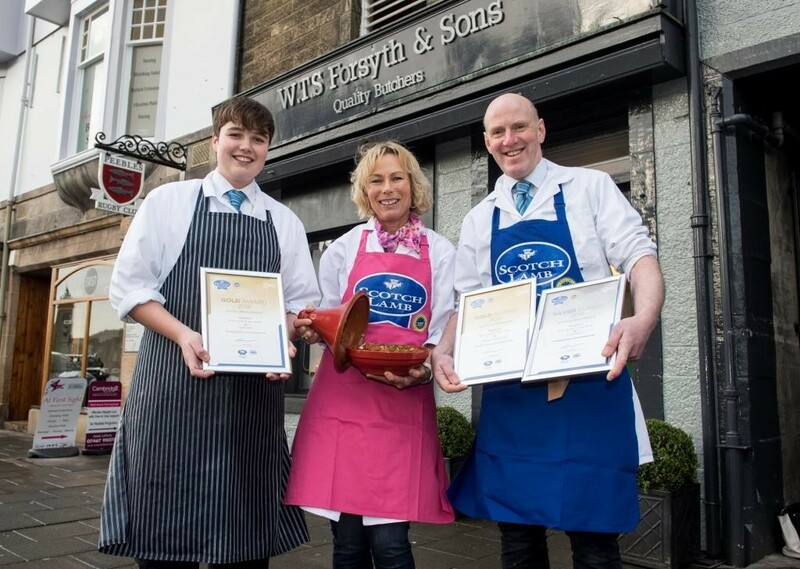 Fearghas Lowther, Louise Forsyth and Callum Forsyth of Forsyths Butchers and Bakers in Peebles with their award-winning Scotch Lamb Tagine and awards. “The standard of entries we received was exceptionally high and you could see that each butcher had a tremendous amount of pride for their burgers and products,” Graeme Sharp, QMS marketing executive, said. Peebles-based butchers Callum and Louise Forsyth of Forsyths Butchers and Bakers were awarded two gold awards and a silver award. “Burgers and innovative products are becoming an increasingly important part of our business and are proving extremely popular with our customers,” said Callum Forsyth. 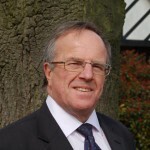 “We provide a traditional, quality service but always try to develop on new opportunities in order to offer our customers something a bit different.